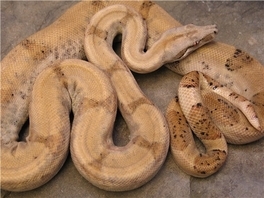 These Boas originated from a small archipelago off the Coast of Panama called " The Pearl Islands". 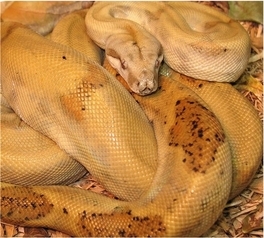 This small Island race ( adults are less than 5 feet ) is quite rare in captivity due to the fact that only a small number of shipments of boas from Panama have been imported to the U.S. under CITES. I have been fortunate enough to obtain a small group of these boas. 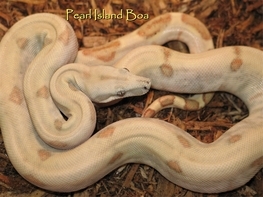 My boas are pure Pearl Island boas & entered the US under CITES in 2005 as Boa c. sabogae. 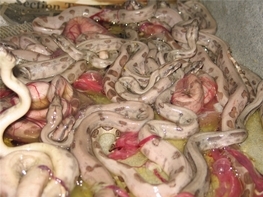 I am one of only a handfull of breeders in the U.S. with these Pure blooded Boas with provenance to Saboga Island. A copy of their original CITES comes with the purchase of any offspring from my adults. 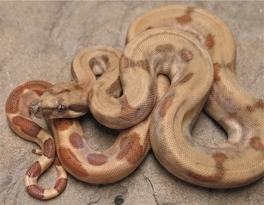 An interesting & small boa that ironically produces small litters of large babies. 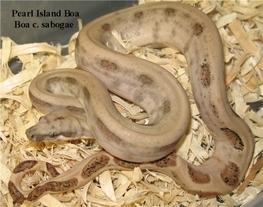 Sabogae newborns are large for Island race boas & can eat medium sized mice at birth. My adults average 8 babies per litter.